When running the PRINT procedure, you can print the variable label as opposed to the variable name by adding the LABEL option. Copy and run the CARRIER data set from the yellow box below. 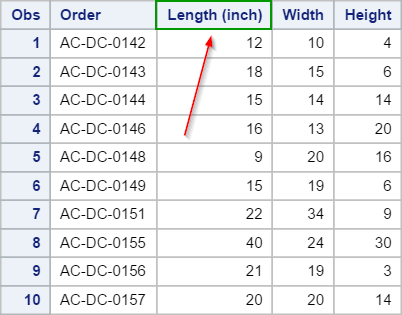 The LENGTH variable is currently assigned the label of "Length (inch)". 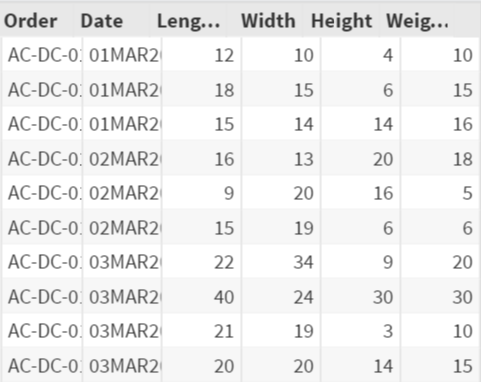 The data set will show the label instead of the variable name. 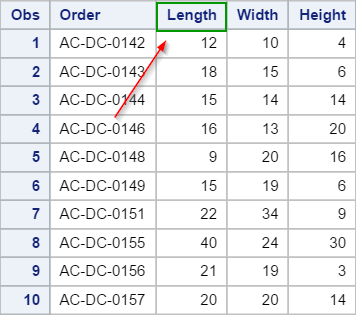 Although the LENGTH variable has a label assigned to it, the PRINT procedure prints the variable name by default. 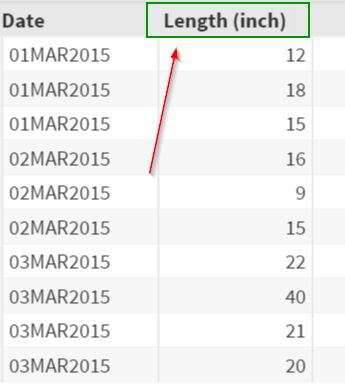 The label of the variable LENGTH isn't displayed in the output. To display the label instead, simply add the LABEL option to the PRINT procedure. The LABEL option is added to the PRINT option. The output will display the label as opposed to the variable name. 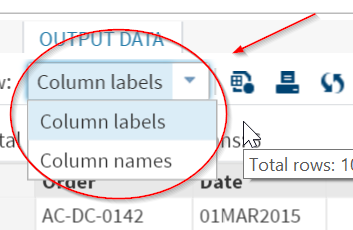 What if the variable isn't assigned a label to begin with? You can add the label in the PRINT procedure as well. 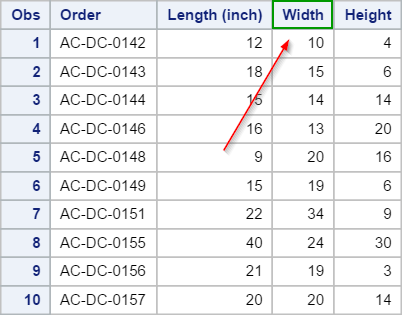 A label can be added to the WIDTH variable with a LABEL statement. The LABEL statement is added to the PRINT procedure. The output will display the variable Label instead. 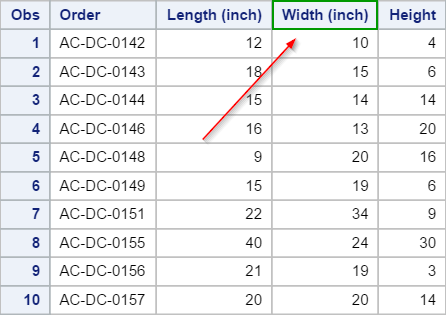 When adding the LABEL statement to the PRINT procedure, don't forget to add the LABEL option as well. 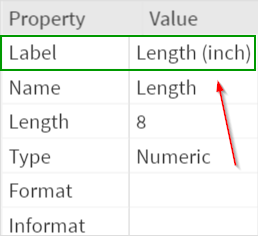 Otherwise, the label wouldn't be displayed in the output despite the present of the LABEL statement.